Freelance Anesthesia | The experts at office based anesthesia. Freelance Anesthesia is a national leader in office-based mobile anesthesia services. We partner with physician and dental offices to enhance productivity, revenue and satisfaction. 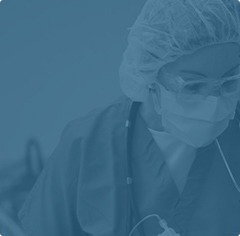 Freelance Anesthesia has partnered with CRNAs and Anesthesiologists across multiple states. These practitioners are industry experts with over 19 years of experience in the office. In that time, Freelance has completed over 30,000 office based procedures. FLA supplies all equipment and medications necessary for anesthesia services in an exam room or dental chair. We provide office-based anesthesia services to over 65 facilities across Oklahoma, Colorado, Ohio, North Carolina, South Carolina, and Georgia. We are presently looking to expand our services throughout the United States. If you have a need for office-based anesthesia, contact us today! With 19 years experience and over 30,000 cases worked. Do you have pre-op or post-op questions? Contact us for our available CRNA job opportunities. Any level of sedation from a conscious sedation to a total intravenous anesthetic. Spinal cord stimulator trials & non-selective nerve root blocks. All anesthesia billing services & patient care from pre op to post op. Facial laser resurfacing, Wide excision biopsies, & Multiple skin lesion excisions. Radiofrequency ablations, Vertebroplasty, & Epidural steroid injections. We have had no post-operative complications from her services and will continue to use her as long as possible. We have had absolutely no problems with her services and would highly recommend her for any position. The patients love the option of having the procedure done in office vs. the hospital or surgical facility setting from a financial and privacy standpoint. Pam was our first experience with in office procedure anesthesia and we have been nothing but pleased since her activities began.